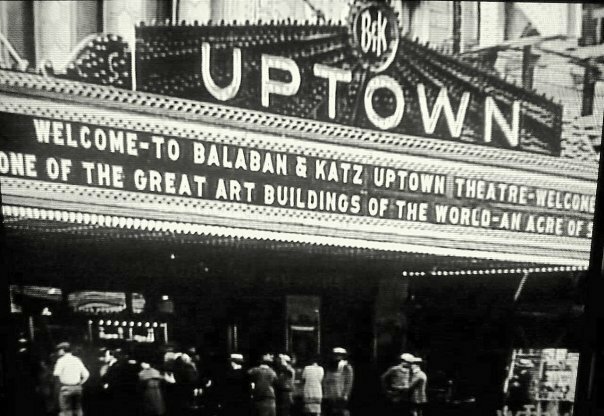 The Uptown Theatre is an iconic Theatre venue opened in 1925 by *Balaban & Katz Theatre Corporation. This is the largest theatre in Chicago boasting an almost 4500 seat space and unfortunately it is sitting on the north side of Chicago being unused at this time. As many of you may know this beautiful theatre was closed in 1981 after a pipe burst once the heat was turned off by the owners. This of course caused extensive damage to the space and with continued vandalism and deferred maintenance the structure continues to deteriorate. The theatre was purchased by JAM Productions for a mere 3.2 million in 2008 and an estimated 40 million is what will be needed in order to restore this gorgeous theatre for patrons to enjoy once again. You can follow the restoration efforts of this great Chicago attraction here. Also please check out this documentary feature ‘Portrait of a Palace’ produced by John Pappas & Michael Bisberg. You can sign the petition to save the Uptown Theatre. It just takes two minutes and FonduTV.com thinks it’s a good thing to do!